The Lonestar State has a little something for everyone. Whether you enjoy the history of the Alamo or the techno-centric city of Austin, you are sure to find a great place to call home in Texas. Aspen Square has the perfect apartment in Texas for you. Aspen Square has been providing quality apartment homes for over 50 years and our apartments in Texas are no exception. 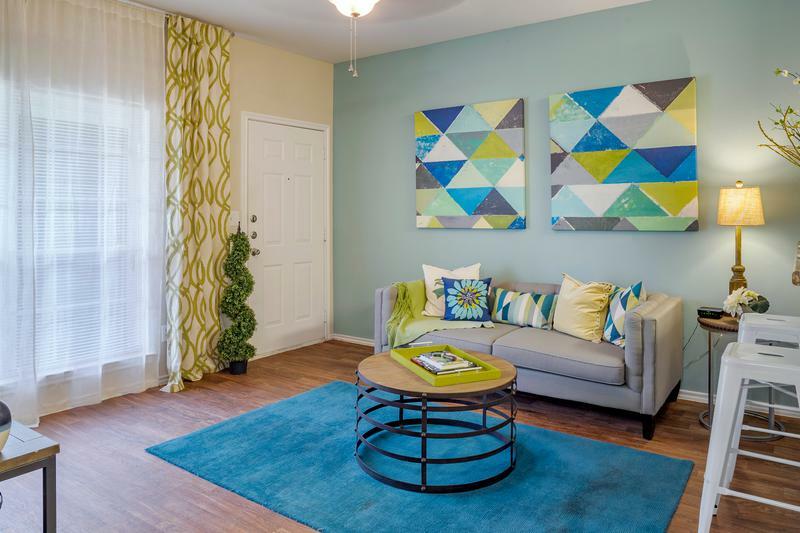 Whether you are looking for apartments near Texas A&M University or just a fabulous new place to call home, Aspen Square’s Texas apartments for rent provide great amenities and carefree living with 24-hour maintenance staff. We are committed to exceptional quality and service. Our Texas apartments are located in Bryan, Texas and include kitchens and bathrooms with granite-style countertops, full-size washer and dryers in your apartment, as well a private patio or balcony. Enjoy access to all the amenities the community has to offer, from a putting green, pavilion and horseshoes. The community is more than just a place to hang out. We’re also pet-friendly and have have an off-leash dog park with agility obstacles. Come find out how Texas living can be easy when you live in one of our Texas apartment homes and experience The Aspen Difference.